Malaysian Temples: Ancient Temples of Malaysia and the Forgotten Past. Ancient Temples of Malaysia and the Forgotten Past. 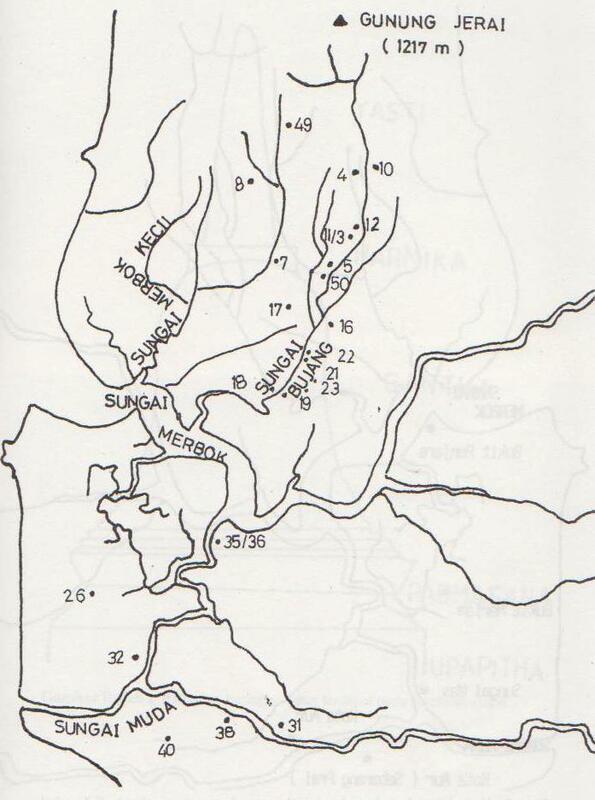 In ancient Kedah there is an important and unmistakably Hindu settlement which has been known for about a century now from the discoveries reported 1840s by Col. James Low and has recently been subjected to a fairly exhaustive investigation by Dr. Quaritch Wales. 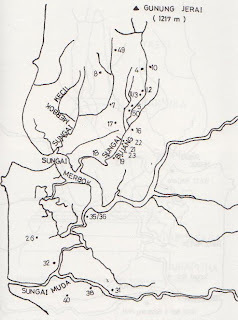 Dr. Wales investigated no fewer than thirty sites round about Kedah. The results attained show that this site was in continuous occupation by people who came under strong South Indian influences, Buddhist and Hindu, for centuries. Over 50 Buddhist and Hindu temples have been excavated from various sites in the valley, Artifacts and relics found at various sites, dating back to the 4th century includes pottery shards, stone statues of Hindu Icons, inscribed stone tablets, and metal tools,Song and Ming Dynasty ceramic wares, ornaments, beads and semi precious stones. The artifacs and relics are on display at the archeological museum located here. 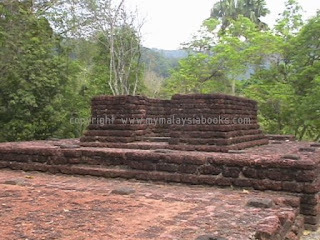 The remains found here are either bases of Budhist Stupa's or Hindu Shrines.Physical evidence of Hinduism were partly destroyed in the 12th century when the 9th ruler of Kedah(first Sultan) converted to Islam. Over many centuries these temples were lost swallowed by the jungles of Malaya. Though almost 30 sites were discovered, none of them have matched the collosal size of those discovered in neighbouring countries. However it is widely believed that deep in the jungles of Malaysia lay hidden monuments which will enrich the Pre-Islamic history of Malaysia. 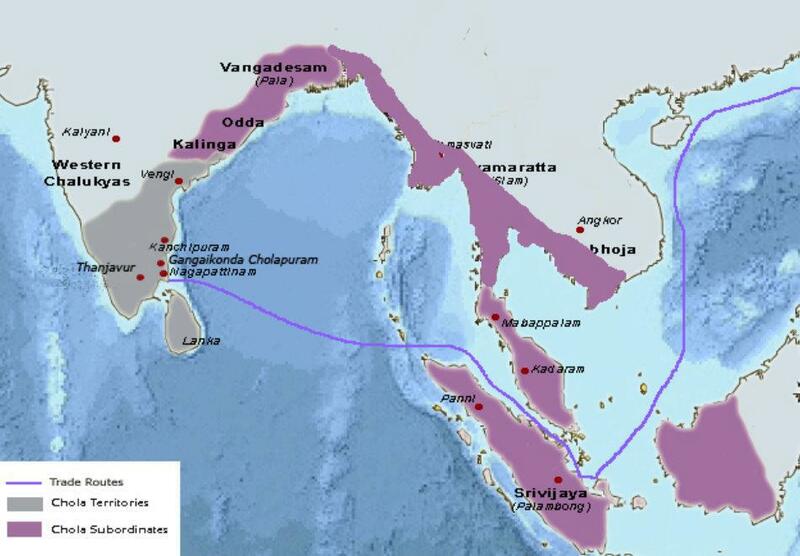 There is a strong influence of Indians of Tamil origin from the 3rd century onwards till the annexation of Kedaram by the Chola Empire in the 11th century. However, there are no records of these settlements after that period probably due to the decline of Chola empire but its influence left behind a unique fusion of cultures enriching the local landscape. N.J.Ryan argues that in Kedah in the North-West of the Malaysian peninsula, there was no large immigration of Indian settlers; rather there was the influence of traders and missionaries. These people, rather like the Europeans in later centuries, were responsible for popularizing their way of life and religion. Many inhabitants - Malay by race - became Hindu or Buddhists, and they built the temples whose remains have been found in Kedah. Thus the population of Kedah for example, did not change, and Chinese reports affirm that the native societies had adopted Indian culture but had not become Indian colonies. True. There was no colonisation or wholesale transplantation of Tamils to Kedah. Indian influence seen in Malay culture is due to contact with Indian traders. In the political perspective, it did not make sense to maintain an overseas colony for such a long time. The MALAY civilisations of Northern Malaya have existed long before they adopted several aspects of Indian culture and philosophy for the sake of utility and expediency. Thanks to Anonymous and Khatulistiwan for your useful insight.Sometimes the line between myth and fact becomes so blurred that we tend to mix both up. What you both highlighted does make sense.Interesting perspective.I was just writing along the sidelines of material available online and of course I am not an expert in this area of history.Thanks for visiting my blog.Hope you also liked the pictures of Malaysian temples; just a few I have covered so far. Kinrara BK 1 "Golden" Maha Mariamman Temple!